When Braylan Covol blew out the candles on his birthday cake, ready to dive into his first slice, his mother, Jamie Barbarich, took his head in her hands. She tried to wrap her head around the fact that he was already ten years old. “It makes me feel old. That’s good,” she said. Just nine years and nine months earlier, Jamie was told she would not see her three-month-old son, Braylan, turn one. Brian Covol squeezes the head of his wife, Jamie Barbarich, in order to ease the pain of her headache. In July of 2006, Jamie woke up with pins and needles in her right arm and leg, prompting her to go to the emergency room. 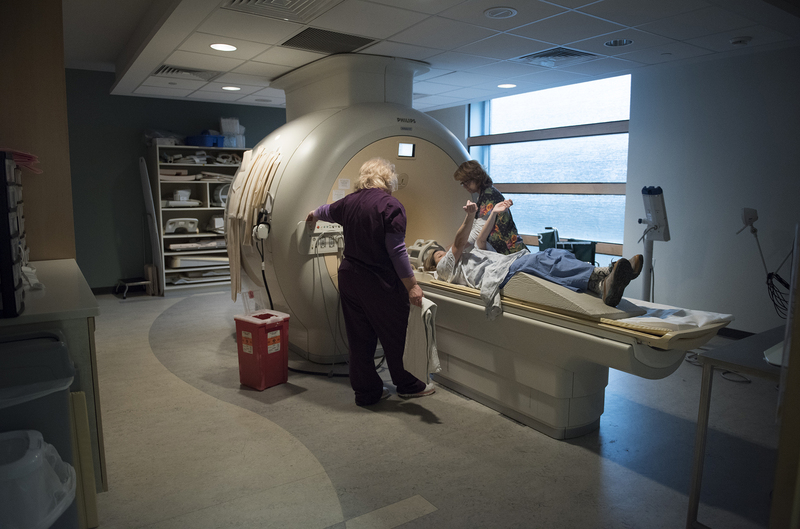 She called Brian Covol, her husband, to tell him something was wrong and he replied, “It’s not like you have a brain tumor.” Shortly after, Jamie was given an MRI. She had a brain tumor the size of a Christmas orange compressing the entire left side of her brain. Jamie supervises while Layton and their neighbor, Sarah Riccomini, play in the cul-de-sac. 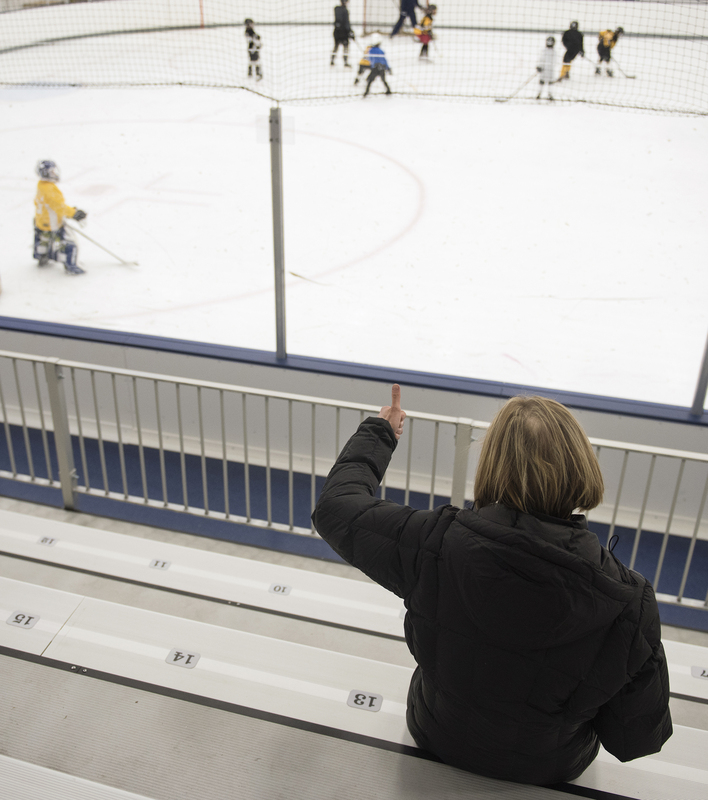 Jamie gives her son, Layton, a thumbs up during hockey practice at Pegula Ice Arena on Penn State’s campus. 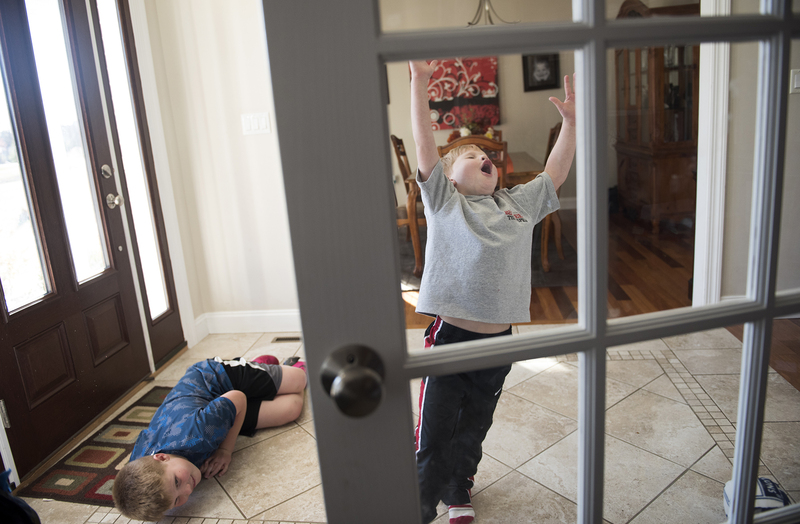 Layton Covol, 6, celebrates scoring a goal on his brother, Braylan, 10, in the foyer of their home in State College, Pa.
Jamie reaches out her arms to show the nurse her veins before her MRI at the Geisinger Gray’s Woods medical center. Her blood work came up suspicious the previous week so they called her in for a scan. 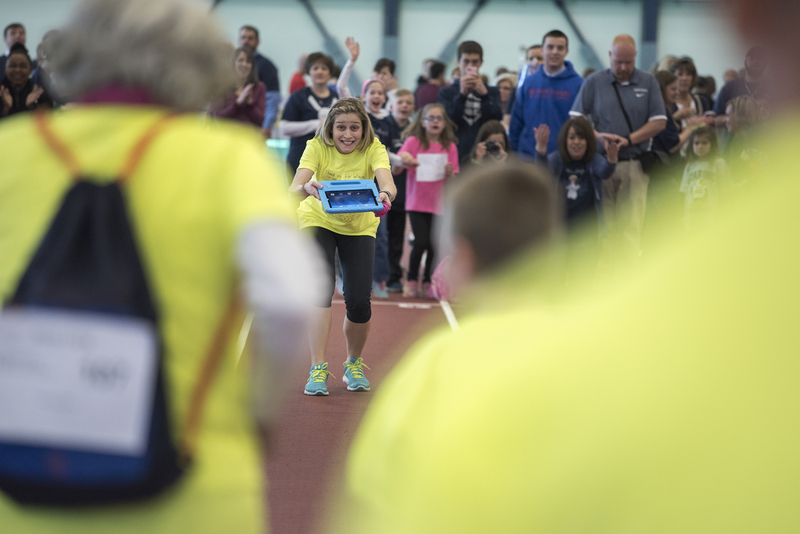 Jamie holds out a tablet to lead her student from her special needs class down the track at the Special Olympics held at the Penn State Horace Ashenfelter III Indoor Track. Jamie is passionate about working with special needs kids and has continued to go to work at Mount Nittany Elementary School through the ups and downs of her health. 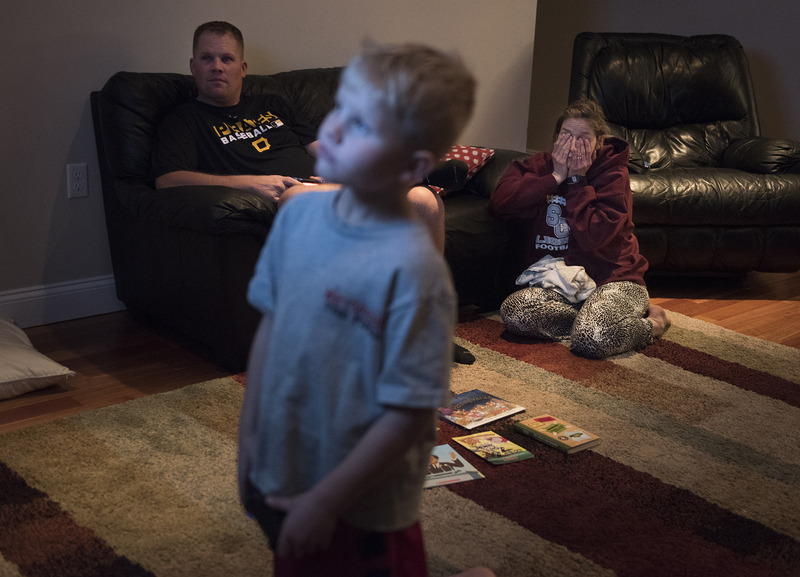 Jamie rubs her eyes as she waits for her husband, Brian Covol to finish playing video games with their son, Layton Covol, so he can squeeze her head to ease the pain of her headache. Jamie reads a bedtime story to her son, Layton, in their State College home. Jamie walks with her son, Braylan, up the driveway to their home. Nearly ten years later, after many procedures and treatments, and unable to have the cancer removed completely, Jamie continues to fight any way she can. But doesn’t let cancer control her life. 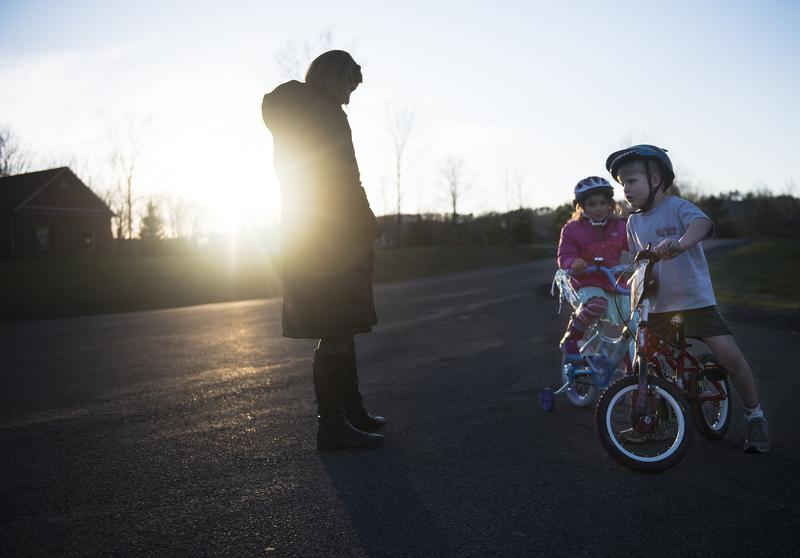 She continues to do the work she loves teaching a class of special needs kids at Mount Nittany Elementary School and she spends as much time as possible with her husband and two sons. Jamie has defied overwhelming odds with an unwavering positive attitude. She has taught herself how to walk again after an operation and ignores her chronic headaches in order to have a normal life.